Combine the syrup and espresso in a Irish coffee glass. 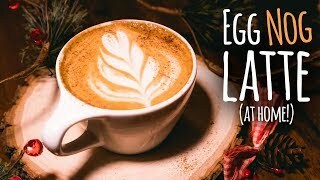 Fill up the glass with eggnog and top with whipped cream. Sprinkle some nutmeg ontop. 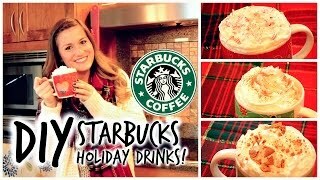 DIY Starbucks Holiday Drinks: Peppermint Mocha, Eggnog Latte and Gingerbread Latte!